Players of all ages can gain competitive basketball experience in the Buckinghamshire Basketball League with teams spread across the county and games happening every Sunday. Each year players under 12 years of age (born in the correct year) with exceptional talent, potential and or height for their age are invited to try-out for the new County Performance Centre programme which is focused on individual skill development. Each year teams of the most talented boys and girls under 12 years of age (born in the correct year) are selected for the Buckinghamshire County Squads to represent Buckinghamshire at the South Region Inter-County Tournament as part of the ahead of County Squad selections. Players participating in the programmes above are also encouraged to try-out for National League squad selections in addition to their Buckinghamshire Basketball League clubs to offer them the opportunity to compete against some of the best players and clubs in the country. 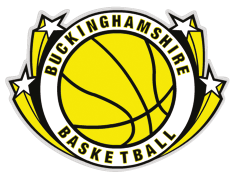 To find out more about the Buckinghamshire Basketball Association’s player programme please see the Pathways link.